Billy Moyer is a personal development junkie with over 22 years experiences speaking about Leadership, Goal Setting, and Personal Responsibility. He got hooked on personal development at just four-years-old when he went through his first goal setting program. In that program he learned that "if you are not making the progress you would like to make and are capable of making it is simply because your goals are not clearly defined." He clearly defined his goal and it was become a speaker like his dad, Bill Moyer. At just seven-years-old he spoke to his first group. He has been speaking ever since. He now speaks on different personal development related subject. He most often speaks about becoming the BOSS of your life by taking personal responsibility. Billy is the Co-founder & President of SOS Leadership Institute, an international leadership development resource center that seeks to develop leaders that make a difference. He co-founded SOS Leadership at just 21-years-old. SOS Leadership has coaches and trainers all over the world and works with organizations and individuals. SOS Leadership has worked with thousands of leaders helping them get the most out of themselves and those they lead in order to improve performance and results. SOS Leadership was named the Favorite Professional Development Source in Austin, TX in 2013, 2014 and 2015. Billy is the also co-founder of SOS Publishing, a hybrid publishing company that helps people accomplish their goal of writing a book. Billy is the co-author of the books, Seeds of Success: A Journey from Success to Significance, Retreat to Success: Living Your Life on "Purpose" and The Turnaround: If You Don't Grow, You Go! He has also written more than 30 articles in numerous professional publications. He is has written several self-study training programs under the Seeds of Success label including: Leadership that Makes a Difference, The Science of Selling, The Science of Personal Acievement, Protecting Professional Time, and many more (19 total programs). Billy is an energetic and inspiring speaker who will entertain, educate, and motivate your audience. He encourages everyone to answer the call to leadership and become their own boss by mastering PR (Personal Responsibility). Billy weaves personal stories from his own life, including his unique story of speaking to his first group at age seven, into his presentations, which allows the audience to connect with him on a level different from most speakers. Another thing that makes Billy unique is that he is only 29-years-old. He brings energy and enthusiasm with him when speaking to groups, but he also brings over 22 years of experience speaking and helping others develop their full potential. Billy has spoken to thousands of people around the world beginning when he was just seven-years-old. He presents keynotes, breakout sessions and interactive training sessions delivering motivation, information and humor. He speaks at corporate/non-profit meetings and conferences and association events. As a speaker, he promises to set the tone for the event while leaving his audience with takeaways that they can use to grow as leaders personally and professionally. A motivational speaker must actually motivate attendees to take action and that is what Billy does best. Billy has a Master of Arts degree in Organizational Leadership from Gonzaga University and is also certified in Servant Leadership. He has a Bachelor of Arts degree in Communication from St. Edward's University in Austin, Texas. Billy helped create two mentoring program for college students in Austin and Belton, TX. He also helped develop the Emerging Leaders Advisory Board at Concordia University Texas. He is on the Board of Directors for The Austin Young Chamber of Commerce. Billy’s company, SOS Leadership was awarded the Chairman’s Award of Excellence from the Belton Chamber of Commerce for their contributions to the Belton community in 2010. In 2011, Billy was named one of Austin’s 25 top New Philanthropists by Giving City Magazine. "Billy is a true servant leader," International Speaker & Author Justin Fatica said. "He cares more about you and your organization than his own. His persistence integrity and commitment have made a difference in my life and so many others." 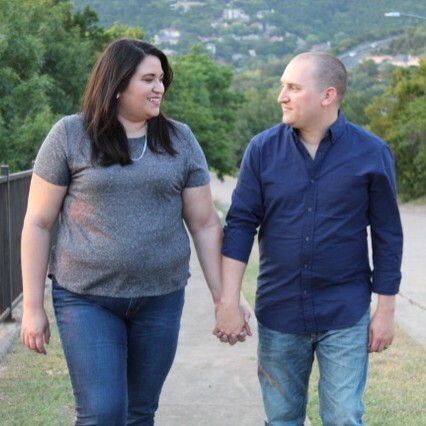 Billy resides in Austin, Texas, with his wife, Ashley. SOS Leadership - Named 2013, 2014, and 2015 Favorite Professional Development Source by the Austin Young Chamber of Commerce. Named one of the top 25 New Philanthropists in Austin by Giving City Magazine. SOS Leadership - 2010 Chairman's Award of Excellence from Belton Chamber of Commerce for outstanding service to the Central Texas community. Find out more about Billy Moyer at http://BillyMoyerBoss.com.